Happy Friday! I don't know about you, but I am SO ready for this weekend to be here. This week I returned to my previous employer to do some freelance work for them. Don't get me wrong, having a little extra cash flow this month is going to be nice, but returning to the 8:30-6:00 schedule and battling morning and evening rush hour has been quite an adjustment. There are a lot of things I don't miss about my old job now that I'm working from home, but I've also come to realize there are so many things that I don't get when it's just me working from my kitchen table. I've loved getting to catch up with old coworkers and friends and just get that social interaction during the day that I typically don't. I'm linking up with April, Christina, Natasha and Darci today for their Five on Friday post. 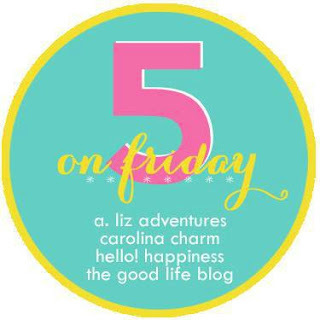 Here's a peek at the top 5 things on my list for this Friday. 1. 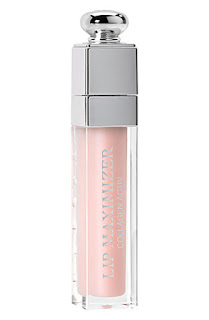 Lip Maximizer- I mentioned earlier this week that I purchased this Lip Maximizer. I've only been using it for a couple of days now, but I really like what I've seen so far. I'm not too convinced that it will permanently plump my lips like some say it will (that just sounds too good to be true), but it does give a nice tingly feeling and draws more blood flow to my lips which gives them a little color and slightly fuller look. I took a few before pictures this week, and I'll be interested to see if there's any noticeable difference in two weeks. 2. EPantry- As we prepare for our little guy to arrive this spring, I've become more interested in subscription and home delivery programs. My sister April blogged about EPantry earlier this week, and I've decided to give it a try too. Not only is it convenient to have natural cleaning products delivered to your door, but I think it's also going to end up saving me money. The prices they have on their products are cheaper than what our local stores sell them for. On Tuesday I placed my first order, and it will be delivered today. If you're interested in learning more about the service, read April's post about it here. 3. New Designs for Spring- I've been having fun putting together some new necklace designs for my Etsy Shop, and will be getting them added to the website over the weekend and next week. I'm so excited that colors are getting bright again or spring, making colorful and cheery designs just puts me in the best mood! I have just about had it with winter. 4. Stuffed Peppers Recipe- Since I was working longer hours this week, I planned for dinners that could be prepared ahead of time, or had a quick preparation. 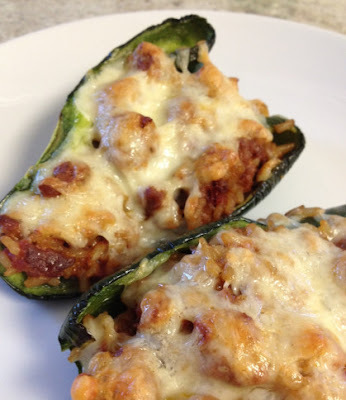 We tried these stuffed peppers for the first time on Wednesday, and they were a huge hit. I used Aldi's chorizo which we've both come to love lately. The stuffing had just a hint of heat, and the flavors were amazing. They were just as good the second night as leftovers, too. 5. I've finally (I think) completed our baby registries. We decided to register at both Babies R Us and Amazon. It's so nice to be able to view a list of everything we need for our little guy's arrival. As the nesting feelings are getting stronger and stronger, I crave organization with everything baby related. Being able to log on, see what all I need, and what all I've purchased so far makes me happy. 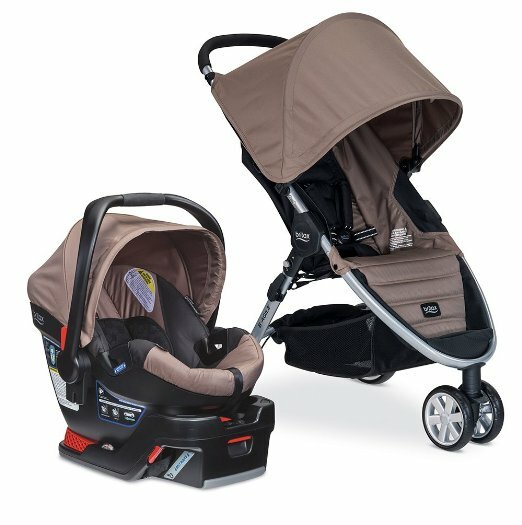 A few of the things I'm most excited about are our stroller/travel system, Puj tub, Bunnies By The Bay pacifier holder, and the ever-popular Ergo 360.